Seismicity in the Eastern Tellian Atlas of Algeria is active of moderate to low magnitude. The direct identification of active fault is often a difficult task. In fact, in this region, despite the intense seismicity, only the Constantine earthquake of 27 October, 1985 ( M s = 5.7) and the Kherrata earthquake of 17 February, 1949 ( M s = 4.7), have generated surface ruptures. Hence, the integration of both geological, historical and instrumental seismic data are important in order to characterise the most important seismogenic structures. This paper presents a preliminary overview of the identified neotectonic faults that we consider active in the Eastern Tellian Atlas of Algeria. Thus, seismicity and neotectonic maps are presented and the faults which are active or potentially active from a neotectonic point of view are shown in relation with the main seismic groupings. 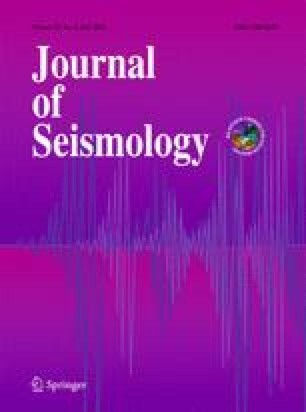 This study based mainly on available seismic and bibliographic data and several unpublished marine seismic data enable us to suspect a fault as the eventual source of the Jijeli earthquake of 21 August 1856 that destroyed the Jijeli town and its surroundings. The results inferred from this work represent a starting point for more detailed studies in seismogenic areas.